Many Voices was initially founded to create a safe space for Protestant clergy and congregations to learn how to welcome gay and transgender persons. As an early stage start-up, Many Voices needed an organizational strategic plan, and they decided to work with Capacity Partners because of Mary Robinson’s proven experience in both organizational strategy and fund development. Creating a strategic plan was especially challenging for Many Voices due to the breadth of its initial mission statement and the absence of a board of directors. Furthermore, the plan needed to include a strong focus on financial sustainability. In addition, the founder – a visionary activist and experienced nonprofit leader – wanted input on the plan from nationally recognized thought leaders. While these individuals knew the founder, they were not familiar with Many Voices. Over the course of a year, Capacity Partners worked closely with the founder, team members, and an assembly of industry experts to forge a strategic plan. 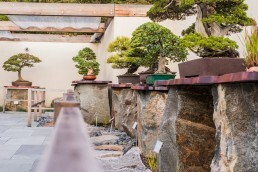 Staff created initial drafts of the plan’s core components, and then a retreat was held in Washington, DC, with industry experts from across the country. Working groups were then established to tackle various portions of the plan. After guiding the strategic planning process, Mary Robinson turned to the creation of a development strategy, an effort that included interviewing potential major donors, stakeholders, and professionals working in similar spaces. Capacity Partners then recommended a candidate for the position of director of development who was subsequently hired to implement the fundraising strategy. The strategic planning process was transformational for Many Voices. 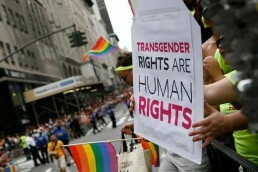 The three most important outcomes were: 1) a powerful revision of the mission to focus directly upon creating a national movement for gay and transgender justice from within the Black church; 2) the emergence of an exceptional staff person who was appointed co-director with the founder; 3) the creation of a strategic plan to use with funders and potential board members — and as an internal launch pad for more detailed operational planning. 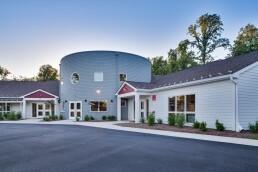 It was time for Chesapeake Montessori School in Annapolis, Maryland, to develop a new five-year strategic plan, and the Board of Trustees needed a consultant to provide expert guidance and assistance. They selected Capacity Partners because of Mary Robinson’s experience with other small schools. The Board of Trustees at CMS is comprised of parent volunteers. As the Board approached the strategic planning process, they brought varying levels of experience with governance and planning to the table – and at the time, several were first-time Board members. They needed a “third voice”: an expert who could meet them where they were, individually and as a group, and guide them through the planning process and several learning curves. We worked closely with CMS over a two-year period. To lay the groundwork for a successful strategic planning process, we started by conducting a training session for the Board that provided an overview of governance, including the roles of the Board, individual trustee and head of school; effective decision-making processes; committee work and optimal structure; and communication intra-Board and between Board and parents. Several months later, Mary Robinson facilitated a full-day long-range planning retreat for the Board and representative staff and then advised the school’s leadership to bring together planning groups for different aspects of the plan. Toward the end of the planning process, she led a second Board training focused on development, including strategies for growing annual giving. Capacity Partner training sessions in governance and fundraising positioned the Board to create a strong blueprint for the future and helped them develop tools and techniques to execute that plan. In 2012, as the school celebrated its 35th anniversary, the Board completed a new five-year strategic plan, which is now being implemented. The school’s adolescent program is well on its way, and CMS is reaching out in concrete ways to grow the impact of the school and the Montessori philosophy on the broader community. 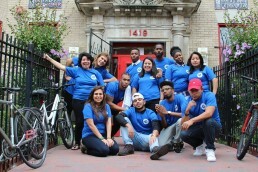 Latin American Youth Center is a large, complex nonprofit with multiple locations across the DC metro area. The organization works with a diverse population of youth to help them achieve a successful transition to adulthood. It was time for LAYC leadership and staff, who had used large strategy consulting firms to develop two previous strategic plans, to create a new strategic plan. Under the guidance of an experienced internal chief strategy officer, they began to develop the new plan in-house. When they realized they needed an outside perspective and assistance completing the plan, they engaged Capacity Partners. Although LAYC had extensive experience with strategic planning, the staff time required to work on a plan in addition to regular work duties made it difficult to deliver a full-fledged plan on a tight timeline. In addition, LAYC is an established nonprofit with a strong track record of success. Being in a position of relative strength and stability can make it more difficult for nonprofit leaders to dig deep and re-examine assumptions. Over the course of five months, Mary Robinson worked closely with LAYC’s chief strategy officer and staff to deliver the new plan. To supplement the excellent work that had already been completed, Mary conducted three retreats to elicit and address key factors influencing the organization’s future growth strategy. Working committees were formed to flesh out the strategies and objectives for each strategic goal, and a board-staff leadership team was created to coordinate the planning from all organizational perspectives. In addition to providing bandwidth to assist the chief strategy officer in completing the plan in a timely manner, Capacity Partners was able to offer new insights and pull out some themes that might have been missed internally, including issues related to internal alignment and the importance of relationship building to programmatic success. The result was a dynamic, forward-looking plan that was approved by LAYC’s Board of Directors in early 2013 and is now being implemented. The Montgomery Coalition for Adult English Literacy strengthens the countywide adult English literacy network to support a thriving community and effective workforce. MCAEL worked with Capacity Partners for six months to develop the strategic plan. MCAEL needed to both confirm their core work and values and to set goals that put their organization on a growth trajectory. Mary Robinson and Sara Watkins facilitated the process which was carefully constructed to balance board and staff time. The process created space to include historical data, best practices, and in depth discussions among board members. Also, since the coalition model is integral to the work that MCAEL does, the planning process involved input from stakeholders and two advisory groups and included a survey to get feedback from internal and external stakeholders to guide the Board’s planning. They now have a solid strategic plan they can share with funders and constituents that defines their organization and shows what they plan to do. The strategic plan is the foundation for all of their annual planning. The Foundation for Jewish Studies is the largest independent provider of Jewish adult education in the Greater Washington area, offering each year more than fifty different occasions to meet with, discuss, and learn from top educators. 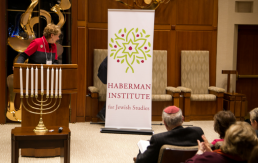 The Foundation seeks to stimulate engagement with Jewish texts, promote discussion about Jewish culture, life, history, literature and philosophy, and is working to ensure the longevity of the Jewish faith and tradition. The Foundation for Jewish Studies enrolled in a Sustainable Board Workshop taught by Sara Watkins at the Nonprofit Village, seeking advice on how to evaluate and set new direction for its board of directors. Thirty years old, the Foundation needed help learning best practices for board development and recruitment to implement what they had learned. Capacity Partners met with board and staff members to learn more about the strengths and needs of the organization. Capacity Partners then helped the board develop a self-evaluation survey which was completed by all board members. The survey results were used as the basis for a board retreat in March 2015. During the retreat, board members discussed the size of the board, committee structure, orientation for new members, attracting and recruiting strategies, and evaluation of board effectiveness. At the conclusion of the self-evaluation, board members reassessed their individual contributions to the board and evaluated their effectiveness as board members. As a result of the retreat, board members decided to recruit potential new members to serve on committees according to the areas of expertise needed by the Foundation. Through service on a committee, both the board and the new committee members could determine if moving onto the full board would be mutually advantageous. In addition to specific expertise, the Foundation is looking for committee members who are passionate about the Foundation’s mission and energized to advance and support it. The only constant in life is change, and the same proves true at nonprofit organizations. As nonprofit leaders, we’re either preparing to launch the next program, initiating a fundraising campaign, or working with our boards to map out a strategic plan for the next five years. And those are just the changes we plan for. There is an implicit responsibility embedded in every nonprofit manager’s job description: change leader. But what does it mean to be a change leader? How do we effectively lead transitions? 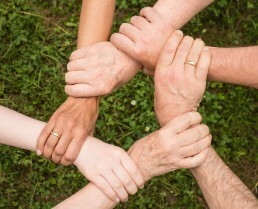 How do we include all of our stakeholders in the process? While successful change management requires utilizing a host of best practices, one important tactic dictates that you enlist a core group of staff, board, and other stakeholders to drive the change you’re seeking to make. In order to do this, you need a communications plan that details your vision, give people the chance to discuss concerns, then apply the change throughout your operations. Successful change management includes a plan that first identifies your organization’s stakeholders, and then outline strategic communication plans for each individual stakeholder group. Think about how you would want to be communicated with if someone else was leading your organization. Laying the groundwork for a successful change takes time. As Seth Godin once said, “it takes about six years of hard work to become an overnight success.” However, it’s also important to celebrate small wins and acknowledge the hard work of everyone as they strive to make change. Capacity Partners is ready to support you your nonprofit during your transition from facilitating meetings to developing comprehensive strategic plans. Perhaps you and your board have decided your organization needs a new strategic plan. But how do you know if you’re ready to embark on the strategic plan process? Before you hire that consultant to help you develop a bold yet achievable strategic plan, make sure your key stakeholders – board, staff, and volunteers – have answered these questions. Is your organization in a state of crisis? If so, you must deal with the crisis before developing your strategic plan so you have the required mental space and staff time to allow all of you to consider the deeper issues of where it is heading. Are key board leaders relatively stable? If your board officers are in transition, it might be wise to wait until they are comfortable in their new roles. Is the executive director planning to stay? Are there minimal issues with your CEO? 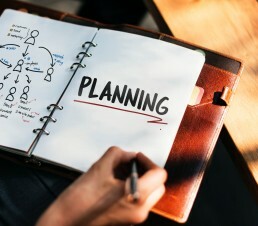 While an organization can do strategic planning without an executive director – and sometimes does, to assess direction and determine the right CEO to hire–for a complete strategic planning process, it is best to have on board the person who will lead the execution of the plan, which is nearly always the executive director. Do board and staff have time to plan? 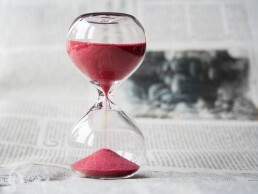 While no one has enough time these days, meaningful strategic planning requires a time commitment of at least a half to full day a month for three to six months. The chair of the strategic planning committee and the executive director must dedicate even more time. Many small nonprofits hope do the impossible – complete a strategic plan in a single half-day planning session, something that’s generally neither wise nor useful. Do you have someone willing to make the time and energy commitment to chair the strategic planning committee? It is too much to expect board chair to lead this process while handling their other responsibilities. Do you want a board or staff-drive process, or some combination of the two? 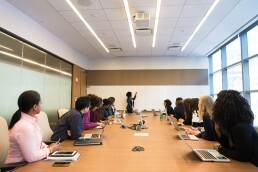 Very small nonprofits tend to choose a board-driven strategic planning process while large organizations with staff members who bring special expertise are often staff-driven. Either way, the board still owns the responsibility for setting the strategic direction, so the board must take the lead on the foundational elements of developing your mission/vision and values as well as setting the strategic direction and goals. Staff can help tremendously with the current situation analysis and creating strategy and implementation plans. What kind of consultant do you want – a partner to guide you through the entire process, or a facilitator with your team doing most of the work? It is important to interview different consultants and so that your needs match with the consultant’s style. If you’d like to learn if your organization is ready for a strategic plan, or if you’re ready to start the planning process, call Capacity Partners at 240-462-5151 to learn if our team of experts can help you decide if you are ready to proceed and then discuss next steps with you. Nonprofit boards can easily be overwhelmed from their responsibilities. As fiduciaries for the organization they are responsible for the strategic mission and financial health of the nonprofit. Oversight and challenges associated with any growing enterprise only adds to the load. Often, for small organizations with little or no staff, the board also functions as day-to-day managers. One way that boards can effectively and efficiently address their long list of tasks is through a well-defined committee structure. Committees allow a subset of the board to focus their skill and time on specific issues. Well-structured committees, which spend time working through specific issues and developing recommendations to the whole board help the entire board make more robust decisions in a timelier manner. Committees can include non-board members recruited for their expertise, acting as a pipeline for future board members. In addition, a strong Executive Committee that shares the leadership responsibilities encourages people to take on the role of Chair. There are three types of committees that boards can consider when looking to build a stronger governance model. 1) Standing Committees (also called Operating Committees.) These are committees that an organization uses on a continual basis. They can be set forth in the organization’s bylaws or in its board operations and policy manual, or they may be established by custom. According to Board Source’s Leading with Intent 2017, the most common standing board committees are finance, executive, fundraising/development, and governance, nominating, or governance and nominating. 2) Ad Hoc Committees. These are formed for a limited period of time to address a specific need. When the work of the ad hoc committee is completed, the committee is dissolved. This type of committee can be used to support capital improvement projects, leadership transition, and strategic planning. 3) Task Force. If there is an objective that can be achieved in a relatively short period of time, such as special events planning or analyzing a proposed merger, task forces can help achieve that goal. Capacity Partners, Inc. has experienced consultants who can help guide your board in developing its structure and ensuring its governance approach reflects time-tested best practices. Contact us at 240-462-5151 to ask how we can help your board be its best.